BecauseTTP LEATHER conditioner cream is based on waxes & natural oils it nourishes leather products. Considered the best leather treatment by many professional valets and furniture restorers. Due to it being easy to use you can bring your leather seats to a showroom shine in minutes. It is suitable for all types of finished leather (not suede or nubuck). 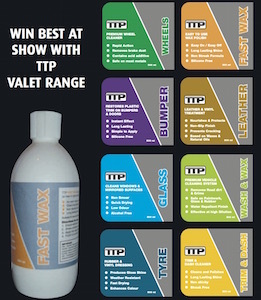 TTP Leather gently deep cleans removing dirt and grime. The cream nourishes and protects leaving a non slip finish to the leather and the natural waxes and oils prevent cracking and imparts water protection. 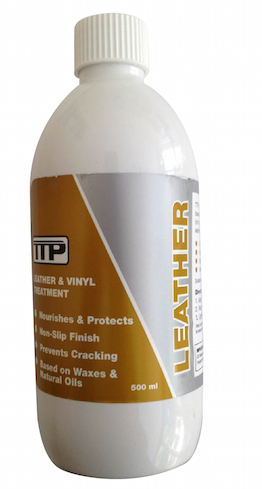 You can use Leather conditioner for leather car seats, leather furniture and most motorcycle leathers. Vinyl can also be cleaned and restored successfully.